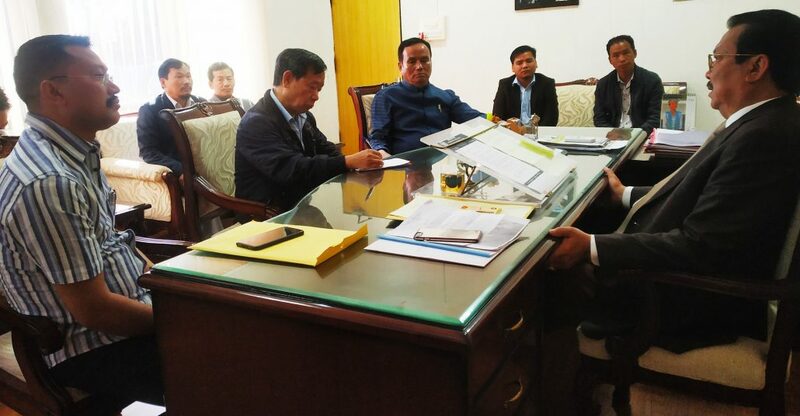 Taking a serious note of no visible construction activities of the ongoing four-lane work of National Highway-415 from Itanagar to Banderdewa in the last few days, Deputy Chief Minister Chowna Mein on Sunday convened an urgent meeting of the State Highway officials and T K Engineering Consortium Pvt Ltd at his official residence here. He expressed dissatisfaction over the progress of the work and asked the consortium to expedite the work. “We have waited long enough due to the long rainy seasons. It is high time that the four-lane work of NH-415 from Banderdewa to Pappu Nallah is fast-tracked,” he said. “Since we have a very limited working period and already entering into the middle of the dry season, there is no time to be wasted. If no satisfactory work is visible in the next few days, no option will be left with the department but to initiate appropriate action against the firm,” Mein warned. He asked the firm to complete the four-lane work from Itanagar to Pappu-Nallah (Phase-I) by March 2019 as assured by them earlier. Chief Engineer (Highway) T Basar, Executive Engineer (Highway) Nani Tath and representatives of the firm attended the meeting.